As an intercessor covering us you’ll be equally involved and be able to see pictures and videos that we’ll be uploading daily to a private WhatsApp Group. Sign up today to join us! Friday 4.3 Shabbat Dinner at Hatachana – Metula Banias, Mt. Hermon – chair lift ? The goal of this prayer mission is to see the true worship of the God of Abraham, Isaac and Jacob and the Messiah Jesus-Yeshua flow freely in the Land of Israel and in the lives of the People of Israel. We will be praying for light to shine in darkness and for people who are caught up in the false religions associated with kabbalah & freemasonry to repent, renounce idolatry and to be restored as citizens of the Kingdom of God. 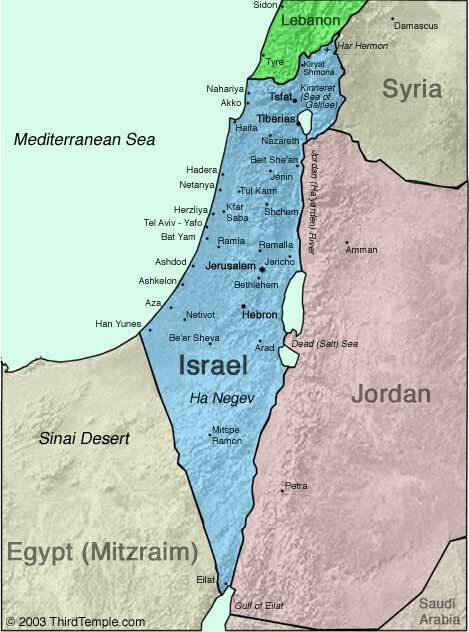 This prayer mission will take us all over the Land of Israel; from Tel Aviv in the West to Mt. Hermon in the North, Jerusalem in the center and Eilat at the southern tip of Israel. Join us for a world-changing mission trip! Before I came to know Yeshua as my personal Lord and Savior I was a student of Helena Blavatsky, Alice Bailey and a host of other ‘new age’ masonic authors and teachers. After getting saved and beginning my walk with the Lord, He had me burn over $2000 worth of books by these authors and repent and renounce my involvement with their false religions. When traveling the U.S. with Jews for Jesus’ music and evangelism group “The Liberated Wailing Wall” in most cities we found ourselves in, the Lord brought me in direct contact with masonic lodges and freemasons, for the purpose of praying for them and breaking the curses over the families of the freemasons. It was an astounding journey. To read more about my time on the road… click here. Since coming to Israel I’ve been shocked to find out the masonic connection with the Kabbalah and the masonic foundations of the nation of Israel. Because of my past experiences in this realm, it was only a matter of time until I knew the Lord would call me to pray about this here in Israel. 2020 is that time. I hope you will join me on the adventure, or pray for us while we’re on this prayer mission. THESE FIRST TWO VIDEOS MAY CHALLENGE SOME OF OUR BELIEFS. I’M BEING CHALLENGED IN LISTENING TO THEM, BUT FEEL BOTH ARE IMPORTANT TO LISTEN TO AND CONSIDER IN LIGHT OF THIS PRAYER MISSION. Unity of the team is imperative for the anointing of God to flow throughout our trip (Psalm 133). Because of this, prior to signing up for the tour you must agree to be lay down your own agenda regarding what happens in our time together. The trip will be loosely scheduled per the tentative itinerary above, but changes may occur based on the Spirit’s leading. Unity of the group is essential because Genesis 11:6 tells us that nothing is impossible for a people united. Conversely the enemy always tries to bring disunity because a kingdom divided will not stand. Unity is to be guarded at all times on this prayer journey.